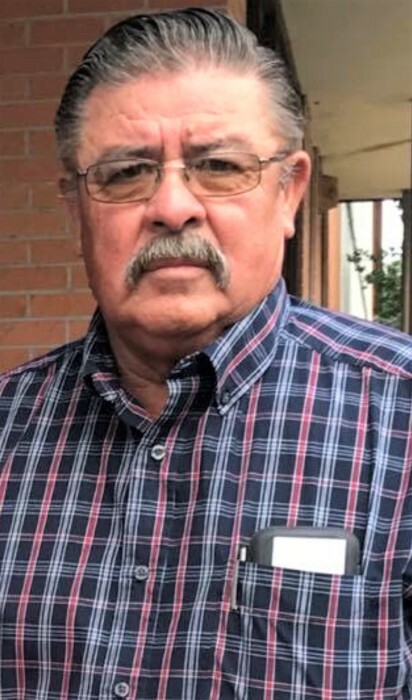 PETTUS – Noe T. Ruiz, 68, of Pettus, died on April 13, 2019. He was born on July 11, 1950 in Robstown, Tx to Juan and Soila (Torres) Ruiz. He married Mary Rivera on May 25, 1969 in Corpus Christi, Tx. He was an oilfield worker. He was preceded in death by his parents; one son, Noe Florentino Ruiz; grandson, Nolan Ray Fanning and two brothers, Magdaleno Ruiz and Reyes Ruiz. Survivors include his wife, Mary Ruiz of Pettus, Tx; four daughters, Sandra Salazar and Chris (Rudy, Jr) De Los Santos both of Floresville, Tx, Becky (Gabriel) Salazar of Beeville and Anna (Raymond) Fanning of Falfurrias, Tx; three brothers, Manuel (Belinda) Ruiz of Corpus Christi, Tx, Florentino (Irene) Ruiz and Frank (Patty) Ruiz both of Beeville, Tx; seven sisters, Janie (Joe) Garcia of Corpus Christi, Tx, Lupe (Pablo) Zapata of Houston, Tx., Dora (Carlos) Gonzales, Clara Ruiz, Lola Arrisola, Mickie Guerra and Annie (J.D.) Carrillo all of Pettus, Tx. He is also survived by seven grandchildren. Visitation will be held from 5-9 pm on Wednesday, Apr. 17, at Oak Park Memorial Chapel. A prayer service will be held at 7 pm. Funeral services will be held at 10 am on Thursday, Apr. 18, at Oak Park Memorial. Interment will follow at the Runge Latin American Cemetery in Runge, Tx. Serving as pallbearers are Eric Zamora, Ricardo Zamora, Mathew Kelly, Austin Carrillo, Mathew Carrillo and Gilbert Ruiz.